Life is short! Nothing new or surprising there, but we can all agree that the last thing anyone wants is to have items rolling around and breaking in the boot whilst they are driving! If only, there was some kind of car boot organiser to store and hold anything you needed to transport. Enter STAYHOLD™, the perfect cargo solution. Whether you’ve purchased a new plant and want to get it home in one piece, you’ve cooked a casserole and need to drive it to a dinner party or you work with tools and often have supplies in transit, this product will be the answer to your car boot annoyances. 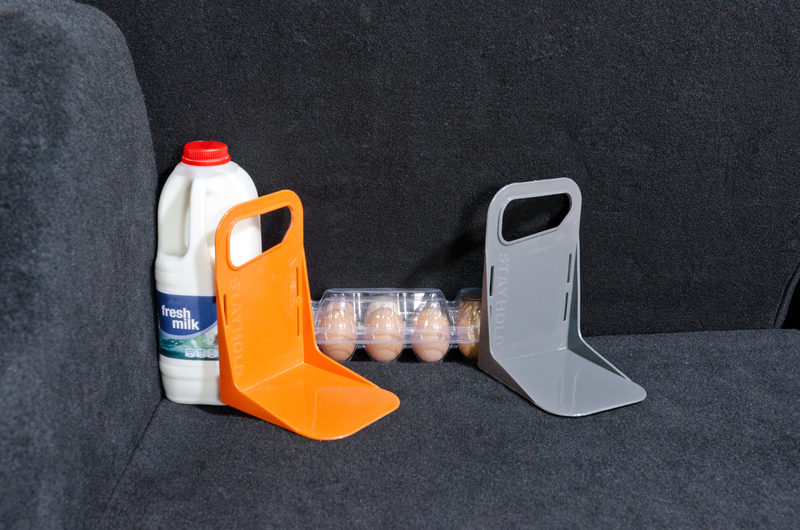 These strong cargo holders will stick to the internal carpet of your car and secure your stuff in place – acting as a small, sturdy wall- nice one! 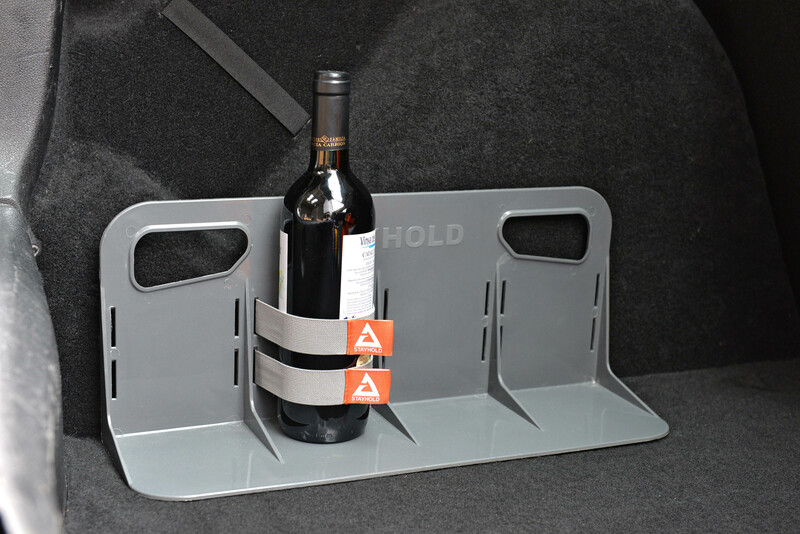 No more spillage dilemmas, be that of a bottle of vintage Merlot or a box of nuts and bolts. In need of some extra support? Our utility straps will do just the trick. 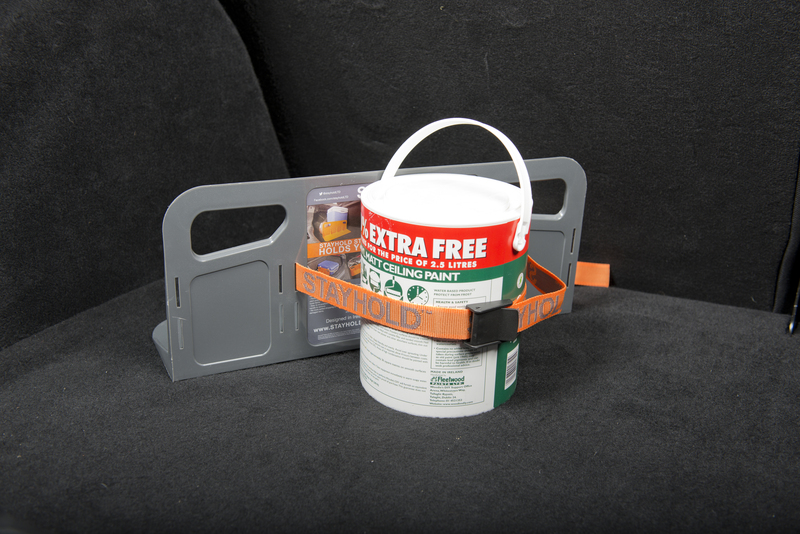 If you’re transporting awkward items, such as cans of paint or a bag of groceries with fragile items inside, these nifty straps will ensure nothing goes walkabouts without your prior knowledge. Whatever you need held, whenever you need it, the STAYHOLD™Cargo Organiser will turn unwanted car spillages into a distant memory. STAYHOLD™, making life simple. 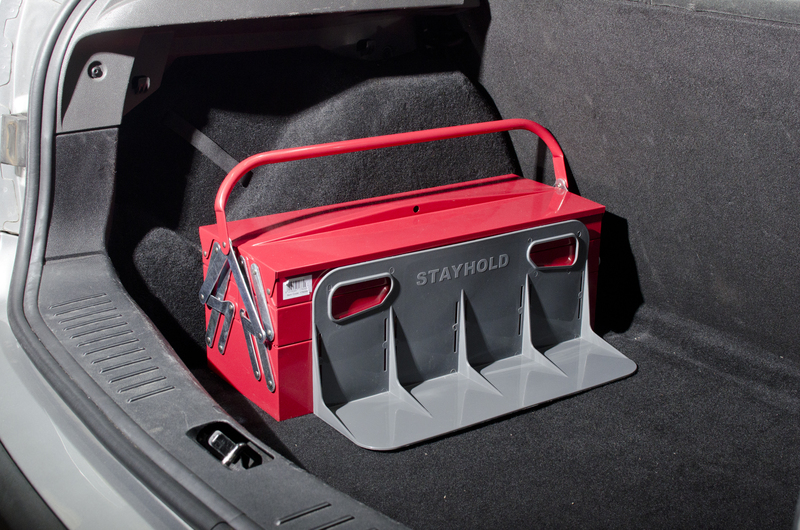 You can find STAYHOLD™at Halfords and Amazon.